In Manhattan’s Bowery neighborhood, CBGB was the stage for The Ramones in their early days. Since its days as a haven for New York City rockers and writers, the Bowery has drawn a new crowd of residents. As people move in and their stuff accumulates, the residents of the Bowery are faced with the problem of finding a convenient moving and storage company that won’t break the bank. Zippy Shell is the solution! Zippy Shell’s unique process is perfectly designed to satisfy any and all of your moving and storage needs in the Bowery! Mobile Storage is Now in the Bowery! Our amazing portable storage service takes the stress and hassle out of storing anything. It will get you the extra space you need without the fuss. We drop, load, and pick up. It’s that easy. Want to load it yourself and save some money? No problem. Unlike our competitors, our mobile storage units are street legal, so we can deliver and pick up right from your front door! A more convenient mobile storage company simply doesn’t exist in Manhattan! The Bowery’s best Moving Company! Once your Zippy Shell is loaded, our driver will pick it up and take it to our safe, secure, climate-controlled storage facility. Your belongings will be kept safe and clean for as long as you want. Just need a night or two? No problem. Want to leave your things in storage for a few months? We can do that too. Just let us know when and where you’d like your things delivered (we even handle long distance moves!) and we’ll drop them off as easily as we picked them up! Affordable Storage and Moving in the Bowery and All Across NYC! Do you want to know the very best part of our moving and storage containers in the Bowery? 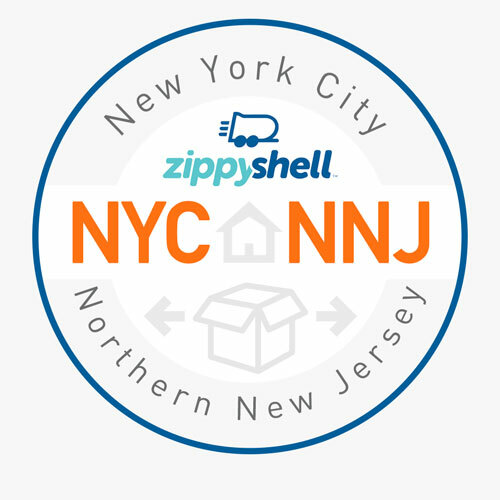 Zippy Shell of NYC & NNJ&apos;s flexible portable storage solution is also the most affordable in the area! Let us prove it to you now. We&apos;d be delighte to tell you how little it costs to arrange delivery of your portable storage unit today. Get a FREE QUOTE for New York City moving and storage! Call (855) ZIP-NYNJ now... That&apos;s (855) 947-6965. We also offer moving and storage in New Jersey - contact us for more information today!